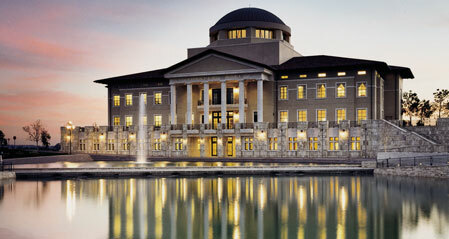 Yesterday I went for a walk around Soka University with one of my best buds. It was dusk, and I was so very excited to share my love for the picturesque campus with her. What was expected to be a short walk turned into a few hours. I led her first to the edge of a bluff that overlooked the running track. On the way we picked fresh lavender, rubbed it between our palms, and breathed in its luxurious fragrance. 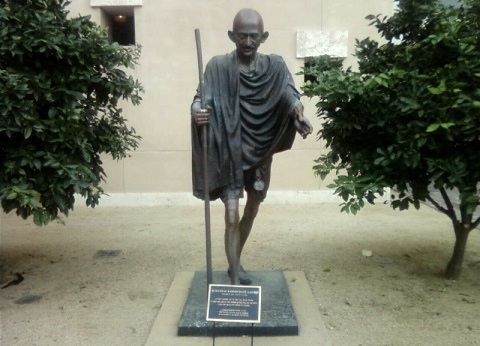 Next, we trekked to a small garden with lemon trees and a large, friendly statue of Gandhi. We surveyed the sage and reminded ourselves of his willingness to sacrifice his life for a better, more peaceful world. My silly-goose side inspired me to place a lemon in his left hand. We both giggled like two kids as we exited the garden. I then led her up to my favorite courtyard on the campus, featuring a handful of lily ponds. There we sat and discussed our triumphs and challenges — the sound of flowing water soothing our souls. She spoke of her quest to find an amazing man and then graciously listened to me pour out the many things that have pulled at my heartstrings over the past few months. On the way back to the car, my buddy and I laughed out-loud at the fact that we had just spent a few hours running around like youngsters. Eyes wide open…curious…playful…ALIVE. I want to do these things more often — keep my laptop powered off — my cell phone hidden far, far away — and my TV powerless too. Under the blue skies of life, there is so much to see and explore. Get outside!!! Free yourself from the boring prisons we adults all too easily create.